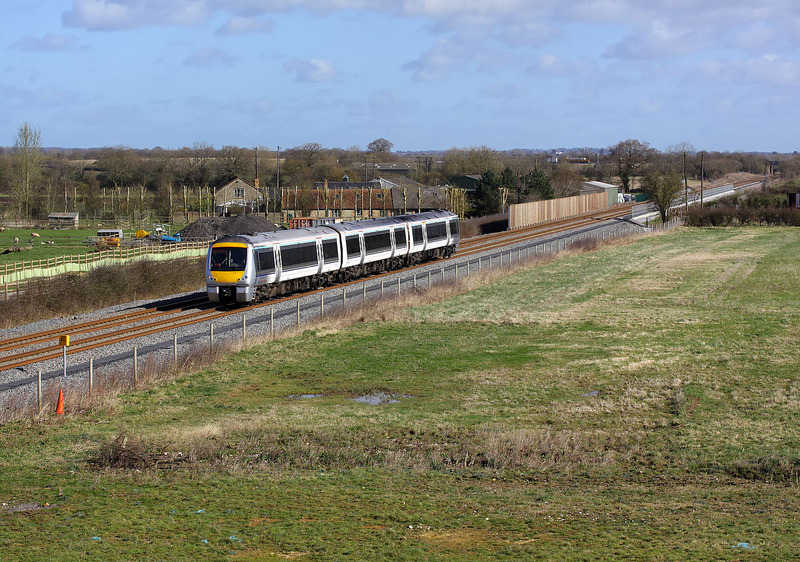 168111 passes Charlton-on-Otmoor on 21 March 2017 with the 1T17 09:00 Marylebone to Oxford Chiltern Railways service. I thought I would try a wide view, as that will be the first casualty if vegetation starts to grow up around the new lineside fence on this recently upgraded line. Luckily they haven't planted trees along this fence, unlike other locations on the route, but even so, I can't imagine it will look like this in a few years time!